There have been a lot of improvements in the roads throughout Aruba these days. I must say, they were needed, and they are being completed one after another. Among the changes on the way, a new traffic circle is going to be built at the airport. 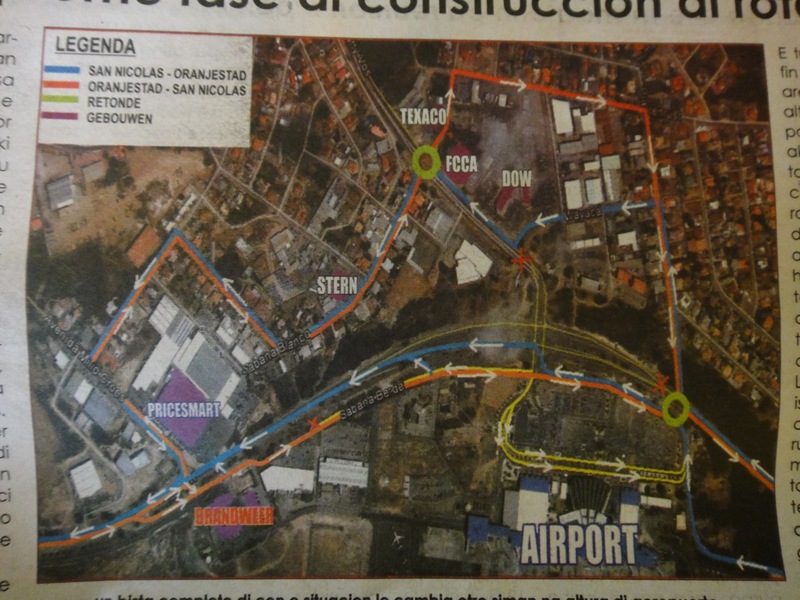 Here’s a shot from Bon Dia that illustrates where the circle will be, as well as the detours. Detours while new traffic circle is built at Aruba’s airpot. If you can read papiamento, you’ll be able to decipher the following article, which describes the project in some detail. There’s also another diagram at the bottom. Check it out. 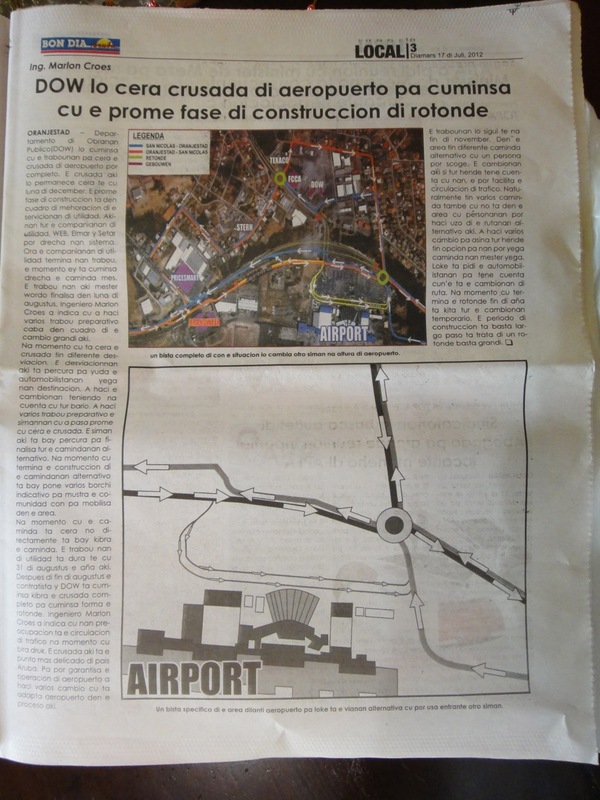 Bon Dia article about airport traffic circle. So, if you’re planning on a trip to the island in the next several months, be prepared for some possible delays, detours, and new directions. Bon dia.